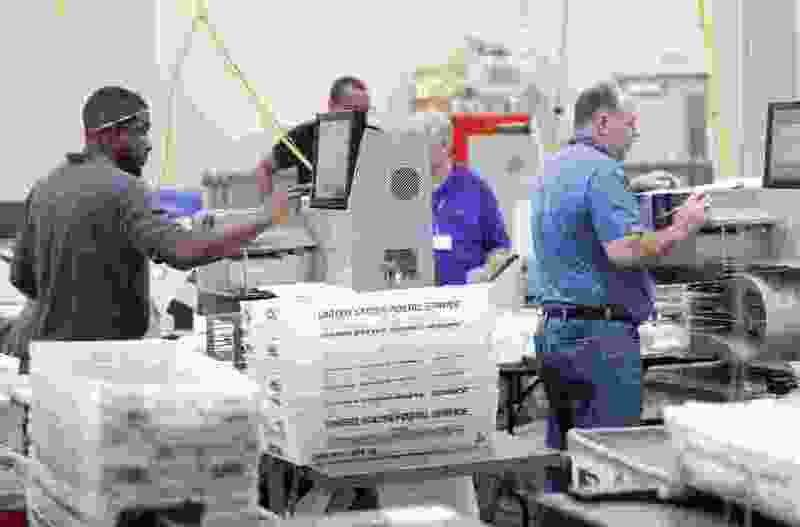 (Wilfredo Lee | The Associated Press) Employees at the Broward County Supervisor of Elections office count ballots from the midterm election, Thursday, Nov. 8, 2018, in Lauderhill, Fla. Democratic challenger Jim Bratnober says he’ll pursue a recount in his race against Idaho Sen. Fred Martin, a Republican from Boise’s District 15. Boise, Idaho • Democratic challenger Jim Bratnober says he’ll pursue a recount in his race against Idaho Sen. Fred Martin, a Republican from Boise’s District 15. Bratnober in a statement Friday says he feels obligated to request the recount with just six votes difference in the unverified vote totals from Tuesday's election. Idaho doesn't typically do automatic recounts but does allow the loser of a race to request that a recount be done for free if the difference in votes is less than one-tenth of one percent of the total. With a total of 17,890 votes in the District 15 State Senate race, the six-vote margin is well under the 17-votes-or-fewer threshold for a free recount.